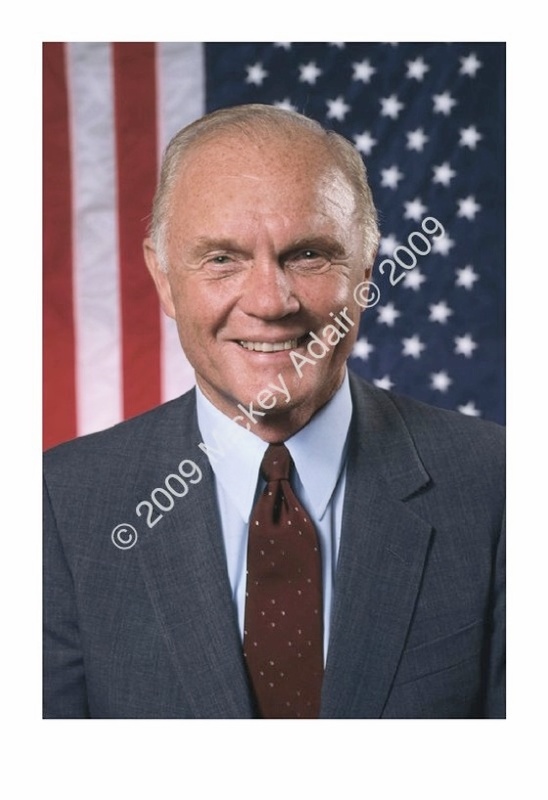 U. S. Senator John Glenn campaigned for the Presidency in Tallahassee in 1984. He was the first American to orbit the earth. He was one of NASA's Mercury astronauts, known as being The Right Stuff. He and his wife, Kitty, posed at City Hall. I was assisted by Mayor Kent Spriggs.